The idea of representing existing text as art intrigues me and is something that can work in very different ways. It’s essentially the basis of Nancy Holt’s 1972 work California Sun Signs but this is a body of work driven by the inclusion of text in the image but in which the text is only a small part of the piece. 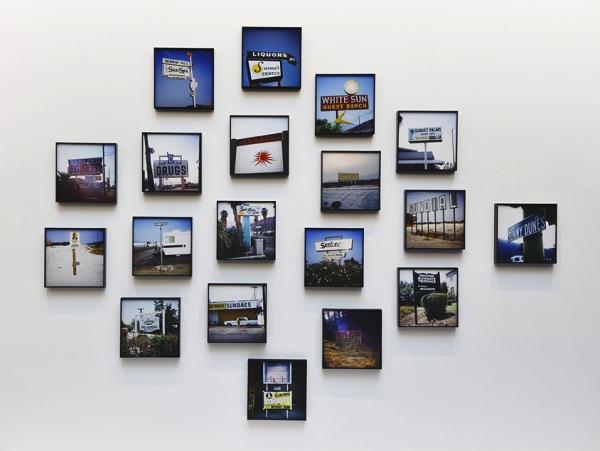 Presented in a somewhat random but broadly circular arrangement on the wall, the individual images that make up California Sun Signs each show a sign found in the Californian landscape, which in each case includes the word sun. 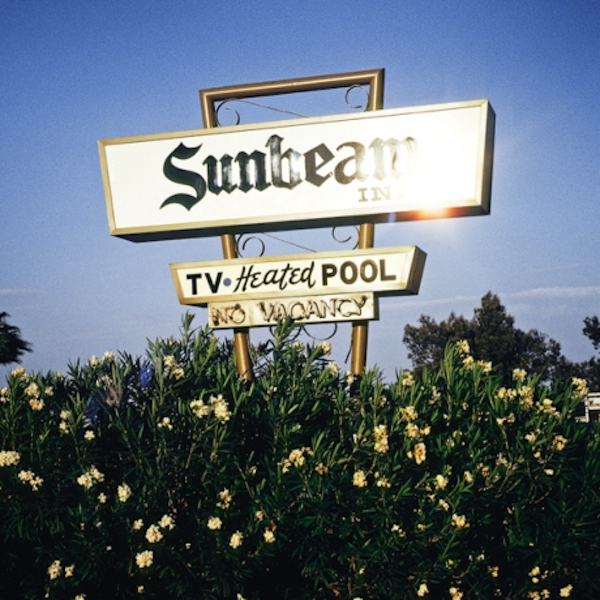 Though it’s clear throughout that the word sun in the signs alludes to California’s climate in some cases it’s not really used in that way on the actual sign; in one case sun is part of the work sundaes, for instance. The signs are for mostly for places like shops and motels but as Holt is perhaps best known as a land artist and perhaps above all for her sun tunnels, the work becomes a kind of celebratory visual joke. Sign painting is obviously an art in itself – albeit a commercial practice and one that’s largely been replaced by more manufactured alternatives, including in many of the signs documented here – which raises questions about where the art lies here. For me, though this is a simple work, it’s Holt’s use of the text within the signs that makes the work her own rather than the way she’s composed the pictures within the work. There are other works in the Haunch of Venison exhibition that I found more interesting – about which, more another time I shouldn’t wonder – but this was a piece that made me smile and showed me a side of Holt I hadn’t really expected to see. Nancy Holt: Photoworks is at Haunch of Venison, 103 New Bond Street, London until 25 August 2012. 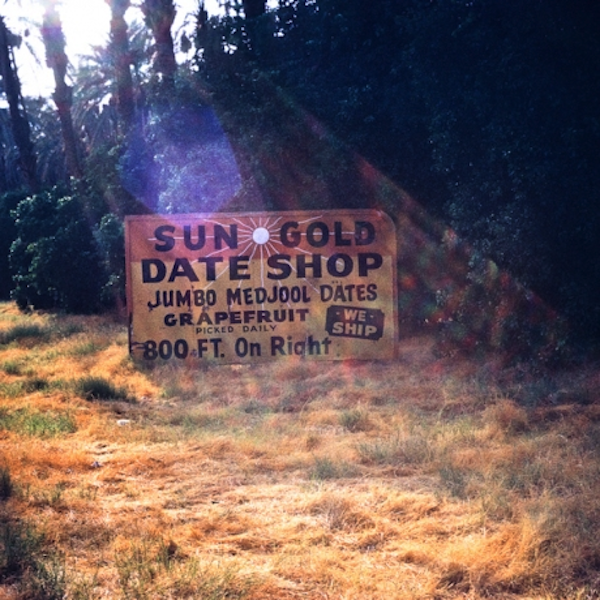 This entry was posted in Photography, Text and tagged art, California Sun Signs, landscape, Nancy Holt, Nancy Holt Photoworks, photography, text by Ann Jones. Bookmark the permalink.